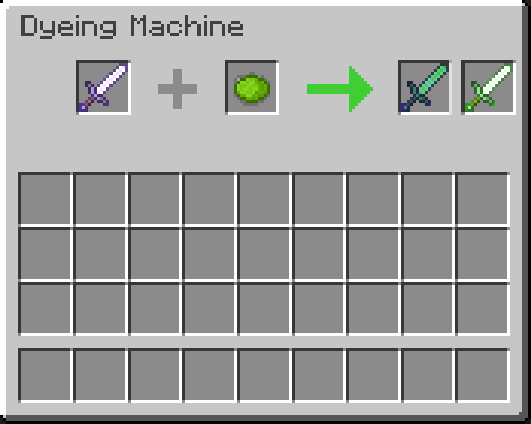 The Dyeing Machine can be used to dye the enchantment glow of items & the items themselves. The coloring of the enchantment glow should work for any item, the coloring of the item itself will only work for items that don’t “color themselves” already. If you wanna remove the dye from an item just put it into the left slot without putting a dye into the right one. 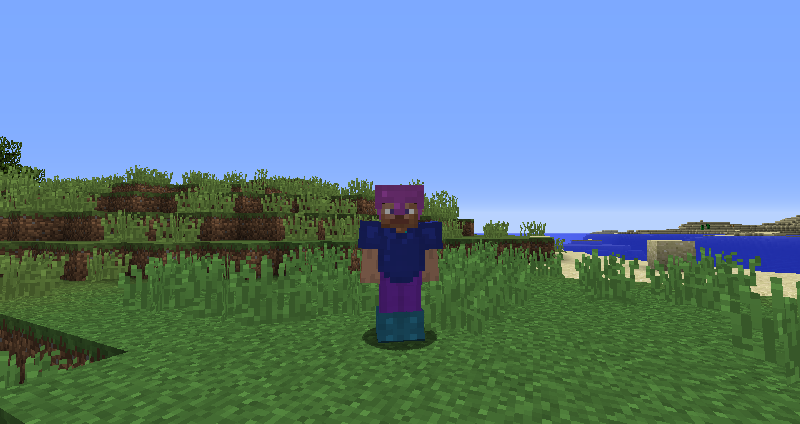 If you want the default enchantment glow back just use purple dye. Armor can also be dyed and will also be colored when worn.